Prematurity is an important health problem affecting all segments of society. In this study, we aimed to evaluate the level of awareness of prematurity and related problems. A questionnaire consisting of fifteen questions was administered to medical faculty students, pediatric residents, and to laypersons by face to face interviews. The questionnaire applied in the scope of the study had 8 open-ended questions and 7 “yes-no” questions. Of the 150 people who answered the questionnaire, 92 were health workers and the remaining 54 were people from the public. The groups with and without health workers had a similar rate of awareness of the World Prematurity Awareness Day (58.7% vs. 58.6% respectively, p=0.30). All of the health care workers defined prematurity correctly while 89.7% of the laypersons gave the correct definition (p<0.05). People from the public expected the survival of babies with higher birth weight and gestational age and this group was less informed about the short and long-term problems related to prematurity. In both groups, the awareness of physicians specializing in newborn care was low (17.4% vs. 13.8%, p=0.13). The level of awareness of the shortage of specialized physicians and nurses in neonatal care was significantly lower among laypersons than that of health care workers (p values <0.05). Although our study population knew what prematurity was, they lacked knowledge about the complications of prematurity, and the quality and adequacy of the health care teams involved in the care of premature babies. In the year 2012, the number of live premature births before 37 weeks of gestation was 15.1 million; 1 million newborns died due to direct complications of premature birth and 1.47 million newborns lost their lives due to conditions related to prematurity (1). According to the UNICEF 2014 report, the etiology of neonatal deaths around the world is listed as prematurity and its complications (35%, 1 million deaths), complications related to birth (24%, 0.7 million deaths) and sepsis (15%, 0.6 million deaths) (2). The premature birth rate among 184 countries changes between 5-18%; the average rate is estimated to be 10% both in our country and in the world. It is also estimated that 3/4 of deaths related to prematurity is preventable by cost effective measures (3). In the last 20 years with the scientific and technological developments observed in the field of neonatology, the survival rate of premature infants has significantly increased. However, the mortality and morbidity of very low birth weight (VLBW <1500 gr) infants is still very high. The most important reasons of mortality in newborns with birth weights less than 1000 grams are respiratory failure, infections, and congenital malformations. Some of the survivors have sequelae such as learning disabilities, visual and auditory problems (4). Premature births are responsible for 70% of neonatal mortality, 36% of infant mortality, and 25-50% of long-term neurological disabilities. All around the world every year 15 million babies are born prematurely; 13 million of prematurely born babies survive, but 345.000 (2.7%) such babies survive with moderate to severe neurological sequel, and 567.000 (4,4%) babies survive with mild sequelae. In addition to that, 185.000 premature babies live with retinopathy of prematurity (ROP), and 32.000 have severe visual problems including blindness. In USA, the cost of premature births was calculated as 26.2 million dollars, and more than 51.000 dollars per baby for the year 2006. Premature births bring a heavy burden to the health care system. “Awareness Day for Prematurity”, which has important results, was first celebrated in 2008 with European family associations. Since 2011, November 17th has been celebrated as “World Prematurity Awareness Day” internationally (5). Family associations, health care workers, politicians, hospitals and organizations try to raise awareness of prematurity by press release campaigns, local events and other activities. In the last few years Turkish Neonatal Society and all neonatology units have also started to celebrate this day with the families of premature infants, and efforts to raise awareness have increased. To raise awareness of prematurity we interviewed a group of 150 people by a questionnaire consisting of 15 simple questions about prematurity before 17th November 2015. Our study carries importance since it is the first sectional study aiming to attract attention to prematurity. On 10-11th November 2015, a questionnaire with 15 questions was applied to medical faculty students, residents in pediatrics, families of preterm and term infants, and laypersons to evaluate their knowledge about prematurity. The questionnaire applied in the scope of the study had 8 open-ended questions and 7 “yes-no” questions. The interviews were done one by one in a face to face manner. Data obtained from these interviews were analyzed by SPSS for Windows 19.0 software, International Business Machines Corporation, Armonk, New York. Ethics committee approval was not obtained since the study was done by a questionnaire. Among the 150 people who answered the questionnaire 93 (62%) were female and 57 (38%) were male. In this group 58 were laymen, 74 were medical faculty students, and 18 were residents in pediatrics. The questions and the answers obtained from health care workers and medical students compared to those of people from the public are given in detail in Table I and Table II. Fifty four of 92 (58,7%) health care workers, and 34 of 58 (58,6%) laypersons were aware that 17th November was celebrated as “World Prematurity Awareness Day” (p=0.30). Prematurity was correctly defined by all in the health care group while the correct answer was given by 52 (nearly 90%) laymen. When limits of viability were asked, in the health care workers group the average expected limits were 600 gr and 24 weeks; in the other group these limits were higher as 1000 gr and 28 weeks. The health care group had more knowledge about early and late problems of preterm infants, as expected. The necessary qualifications, and the quantity of doctors and nurses giving health care to preterm newborns were also asked in the questionnaire. The knowledge about the specially trained doctors in the field of neonatology was low in both groups (Table II). The knowledge about the availability of neonatologists in the care of premature infants in Turkey was lower in the non-health care group. European Foundation for the Care of Newborn Infants (EFCNI) had their first meeting on 17th November 2008 in Rome. In this meeting it was decided to celebrate a day to raise awareness of prematurity (5). The 1st World Prematurity Awareness Day was celebrated by EFCNI and other organizations in Europe on 17th November 2009. In 2010 “The March of Dimes” from USA and “Little Big Souls” from Africa joined EFCNI for a larger celebration of the 2nd World Prematurity Awareness Day all around the world. Because purple represents hope, courage, sensitivity, kindness, unity, and helping people, the symbol color for World Prematurity Awareness Day was decided to be purple (6). In our study, half of both groups were knowledgeable about the celebration of 17th November as World Prematurity Awareness Day, which shows that both groups need more information on this special day. According to the definition of World Health Organization, newborns born before 37 weeks (259 days) are considered as premature (3). This definition of prematurity was widely known in both of the groups who answered our questionnaire. However, health care workers defined prematurity more correctly (100% vs. 89.7%; p<0.05). Data from different centers in Turkey showed the frequency of preterm births around 10%, this means nearly 1 out of every 10 newborns are premature in our country. These premature babies can only find a chance to live if cared in neonatal intensive care units with developed facilities, and with experienced neonatal doctors and nurses. The special care device where premature babies are heated and taken care of was defined correctly as “incubator” by a high percentage of health care workers and laypersons who answered our questionnaire. Newborns with gestational ages below 28 weeks comprise the highest risk group for mortality with rates over 95% if they do not receive specialized care. Newborns with gestational ages between 32-37 weeks have a 7 times increased neonatal mortality rate and 2.5 times increased postneonatal mortality rate when compared to term newborns. In high-income countries (in which neonatal mortality rate is <5/1000 live births) enough maternal and neonatal care is provided; more than 80% of newborns with gestational ages over 28 weeks survive. Mortality and sequelae risks exist in newborns delivered before 26 weeks of gestation. The chance of sequelae free survival is very slim for newborns delivered before 24 weeks (7). In medium income countries that are decreasing neonatal deaths (neonatal mortality rate 5-15/1000 live births), maternal and neonatal care is provided to a certain extent but the sequelae rate among surviving babies between 28-32 weeks is twice as high compared to high income countries. Therefore, improving the quality of care in these countries is very important. In the countries with low income and high neonatal mortality (neonatal mortality rate ≥15/1000 live births) birth complications and perinatal asphyxia are high due to inadequate obstetric and neonatal emergency care services. On the other hand, there are few prematurity related long-term complications as highest risk babies with gestational age below 28 weeks have a low chance of survival (1). Even in late preterm newborns whose gestational ages are between 34-36 weeks, infection, hyperbilirubinemia, feeding difficulties are more common than term babies. Also increased neonatal mortality and morbidity have been reported in late preterm infants compared to term infants (8-11). Kalyoncu et al. (12) have reported 2.3% mortality and 11 times more respiratory distress syndrome (RDS), 14 times more feeding problems, 11 times more hypoglycemia and 2.5 times more rehospitalization in late preterm infants of 34-37 weeks compared to term babies. In the United States (US), between 1990 and 2000, no improvement was detected in the prognosis of infants between 500 and 1500 grams (13). However, according to the US data for 2006, the chances of surviving for those under 1500 grams reached 92.6%, and for those under 1000 grams approached 85%, and it has become similar to what Japan has been doing for many years in the world (14). According to the data from Turkish Neonatal Society, the overall mortality in neonatal intensive units, particularly neonatal mortality under 1500 grams and 32 weeks has been decreasing over the years. The mortality rate was 18.8% for newborns with gestational ages <32 weeks, and 23.9% for VLBW in 2014 (15). Neonatal mortality rate is 71% for 22-24 weeks, and 42.8% for 25-26 weeks, whereas mortality decreases to 20% for 27-28 weeks. The high mortality rate of 62.8% for 500-750-gram newborns decreases to 28.2% for those over 750 grams. Unfortunately, while the survival rate increases after 750 grams and 26 gestational weeks, brain, lung and eye complications are more frequently expected in these earlier weeks. In our survey, for the question about the smallest infant that can survive, the health care workers agreed on over 600 grams and the laypersons agreed on over 1000 grams. The Infant Death Monitoring System records of the Ministry of Health of the Republic of Turkey in 2008 show that 56.5% of deaths were defined as “early neonatal deaths”, 19.5% as “late neonatal deaths”, 76% as neonatal deaths, and 24% as post neonatal infant deaths. It was observed that prematurity ranked first as the major cause of death; prematurity and RDS were the most common intermediate causes, and RDS was the most common final cause of death. It has been determined that about 60% of infant deaths are of premature infants and low birth weight infants (16). Ling et al. (17) have conducted a survey on parental knowledge about prematurity and related issues in Singapore. Their survey has shown that the majority of responders had enough general knowledge to pass the T-score defined by the researchers, but the median scores were low. Although this above mentioned survey is structured in a different way, we compared our results with this study when appropriate. According to the health workers who answered our questionnaire the most important problems leading to the death of premature infants were respiratory problems (70.7%) and infection problems (13.0%). These two main reasons were naturally much less known in the other group. Tendency for infection and difficulty in breathing were the most commonly known problems of prematurity in the survey conducted in Singapore (17). ROP is a major health problem, especially in very premature infants, and can lead to loss of vision (18). An illness that may lead to loss of vision in premature babies was correctly expressed by nearly all the health care workers and by 61% of the ordinary people. Less than half of the responders in Ling et al. (17) survey were aware of the parental eye problems of premature infants. Breast milks of mothers who have given birth to premature babies contain more protein and sodium in the first 4-6 weeks to allow the rapid growth of the premature infant (19). When this information was asked in the questionnaire, 75% of health workers, and 51% of people from the public expressed this content difference correctly. Premature babies catch up within 2 years of age if they are fed adequately (19). Our survey showed that 92.4% of health workers and 81% of laypersons thought that premature babies could catch up with their peers (p=0.049). Nearly half of the health workers and one-quarter of the other group defined “Kangaroo care” as premature babies lying naked on the mother’s breast, but interestingly, 13 people in this second group had had babies admitted to our newborn intensive care unit where kangaroo care is a routinely applied procedure. There were very few people in both groups who knew that the specially trained doctors who looked after premature babies were called “neonatologists” or “newborn specialists” (%17,4 and %13,8; p=0,135). While a large number of health workers knew the inadequate number of neonatologists and neonatal nurses who can take care of premature infants competently, the rates of those who had the correct answer on this subject were 60% and 65% in the other group. With the results of this survey it has been understood that although the definition and incubator need of premature babies are commonly known, there is a lack of information in society about the problems awaiting these infants due to the lack of qualifications, and insufficiency of the teams in charge of their care. It is important to reduce the number of premature births and the mortality related to prematurity in our country in order to reduce infant mortality rate, which is a sign of the level of our development. For this purpose, it is not enough to provide only medical devices, it is necessary to quickly resolve the deficits for specialized physicians and nurses in neonatal medicine both qualitatively and quantitatively. It is essential to inform each section of society not only about prematurity but also about the short and long-term problems related to it, and the presentation of health services. This study was conducted in a single center, thus has limitations for generalization of data among different centers. World Prematurity Day Awareness activities must be more widely supported by family associations, politicians, and social organization groups to increase public awareness since this awareness is the prerequisite of searching and finding solutions to this big problem. Ethics Committee Approval: Ethics committee approval was not obtained since the study was done by a questionnaire. Surgical and Medical Practices: M.Y., M.A., Concept: N.K., Design: N.K., Data Collection or Processing: S.K., E.K., Analysis or Interpretation: S.K., E.K., Ö.A.K., N.K., Literature Search: S.K., Ö.A.K, N.K., Writing: S.K., Ö.A.K, N.K. 1. Lawn JE, Blencowe H, Oza S, et al. Every Newborn: progress, priorities, and potential beyond survival. Lancet 2014;384:189-205. 2. Levels & Trends in Child Mortality Report 2014: Estimates Developed by the UN Inter-agency Group for Child Mortality Estimation. UNICEF, World Health Organization, The World Bank, United Nations; 2014. 3. World Health Organization Facts Sheets: Preterm Birth. Available at: http://www.who.int/mediacentre/factsheets/fs363/en/. 4. No authors listed. Practice Bulletin No. 159: Management of Preterm Labor. Obstet Gynecol 2016;127:29-38. 5. History of world prematurity day. Available at: http://www.efcni.org/index.php?id=2150. 6. World Prematurity Day. Available at: https://en.wikipedia.org/wiki/World_Prematurity_Day. 7. Stoll BJ, Hansen NI, Bell EF, et al. Neonatal outcomes of extremely preterm infants from the NICHD Neonatal Research Network. Pediatrics 2010;126:443-56. 8. Shapiro-Mendoza CK, Tomashek KM, Kotelchuck M, Barfield W, Weiss J, Evans S. Risk factors for neonatal morbidity and mortality among “healthy,” late preterm newborns. Semin Perinatol 2006;30:54-60. 9. McIntire DD, Leveno KJ. Neonatal mortality and morbidity rates in late preterm births compared with births at term. Obstet Gynecol 2008;111:35-41. 10. De Luca R, Boulvain M, Irion O, Berner M, Pfister RE. Incidence of early neonatal mortality and morbidity after late-preterm and term cesarean delivery. Pediatrics 2009;123:1064-71. 11. Araujo BF, Zatti H, Madi JM, Coelho MB, Olmi FB, Canabarro CT. Analysis of neonatal morbidity and mortality in late-preterm newborn infants. J Pediatr (Rio J) 2012;88:259-66. 12. 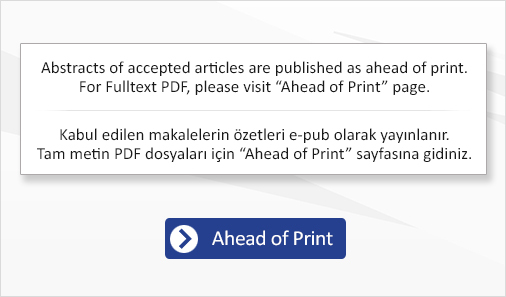 Kalyoncu O, Aygün C, Cetinoğlu E, Kücüködük S. Neonatal morbidity and mortality of late-preterm babies. J Matern Fetal Neonatal Med 2010;23:607-12. 13. Fanaroff AA, Stoll BJ, Wright LL, et al. Trends in neonatal morbidity and mortality for very low birthweight infants. Am J Obstet Gynecol 2007;196:147. 14. Vermont Oxford Network Very Low Birth Weight Database. Available at: https://public.vtoxford.org/databases/very-low-birth-weight/. 15. Türkiye’deki yenidoğan merkezlerinde mortalite verileri. Türk Neonatoloji Derneği Bülteni 2015;27:51-2. 16. Korkmaz A, Aydın Ş, Duyan Çamurdan A, et al. Türkiye’de bebek ölüm nedenlerinin ve ulusal kayıt sisteminin değerlendirilmesi. Çocuk Sağlığı ve Hastalıkları Dergisi 2013;56:105-21. 17. Ling ZJ, Lian WB, Ho SK, Yeo CL. Parental knowledge of prematurity and related issues. Singapore Med J 2009;50:270-7. 18. Bas AY, Koc E, Dilmen U; ROP Neonaal Study Group. Incidence and severity of retinopathy of prematurity in Turkey. Br J Ophthalmol 2015;99:1311-4. 19. Kültürsay N, Bilgen H, Türkyılmaz C. Türk Neonatoloji Derneği Prematüre ve Hasta Term Bebeğin Beslenmesi Rehberi, 2014.